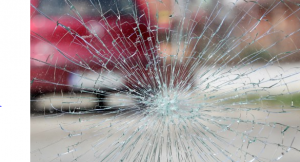 Steven Patierno, 62, Killed In South Bay Crash | Schuler, Halvorson, Weisser, Zoeller & Overbeck P.A. A 62-year-old Coral Springs man identified as Steven Patierno was thrown from his motorcycle and killed after a tractor-trailer ran over him, Palm Beach County sheriff’s authorities said. The wreck involving two vehicles and a motorcycle happened on U.S. 27 in South Bay. Traffic was stopped on U.S. 27 in South Bay while equipment was being moved in a construction zone. Steven Patierno was traveling on a 2005 Harley Electra motorcycle prior to the crash. A 77 year old woman was behind him in a 2008 Kia Sportage. For unknown reasons, a 66 year old Belle Glade man lost control and couldn’t stop the tractor-trailer he was driving north. He hit the back of the Kia Sportage, propelling it into the back of the motorcycle. Steven Patierno was thrown onto the road on impact. The tractor-trailer ran over Steven Patierno, killing him, authorities said. First emergency responders arrived at the scene shortly after the accident happened. Steven Patierno was declared dead at the scene of the crash. The Kia Sportage driver, who lives about 40 miles north of Atlanta, sustained minor injuries, authorities said. She was transported to the hospital with minor injuries. It is unclear what caused the crash or whether anyone will face charges in the fatal crash.